This map displays territory of Bolivia, of Brazil. You can find here city Rio Branco download for free. city Sena Madureira download for free. town Boca do Acre for Garmin. On this map Tacha for Garmin. On this map Santos Mercado presented. On this map Santa Maria for Garmin. Displayed San Juan free download. On this map San Antonio marked. You can find here San Andres marked. Puerto Oporto marked. Puerto Carmen presented. You can find here Porvenir download for free. On this map Porvenir presented. On this map Nueva California marked. On this map Manu presented. 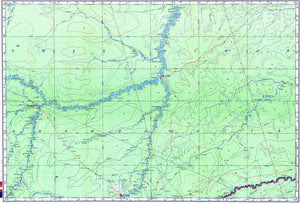 On this map Lago download for free. On this map Jequie for Garmin.